Bathrooms are the first thing you should focus on when renovating your home irrespective of the purpose. If you want to sell it, stylish and trendy looking bathroom will surely increase the beauty of your home and hence the selling price. If you want to just renovate your home, always give special attention to bathrooms. 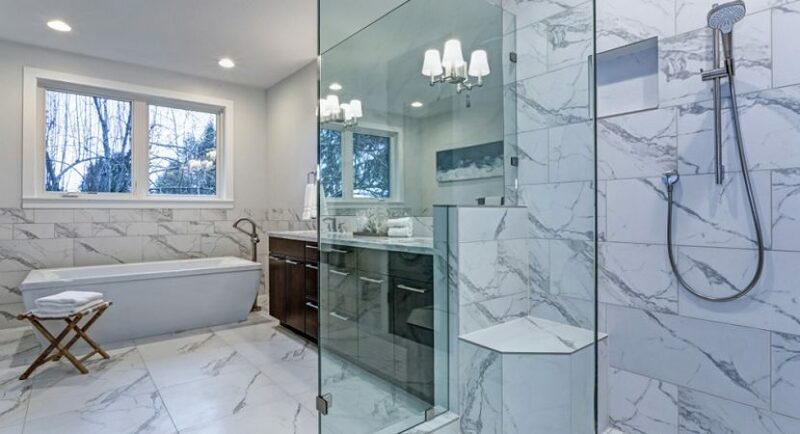 What is one thing that makes bathroom stand out? it is frameless glass shower door. No matter how stylish is your previous bathroom, installing a frameless shower door will increase the beauty of your bathroom. Below are some of the advantages of frameless glass shower doors. It’s the latest type of shower door and most of the people are preferring it over framed shower doors. The main reason behind it is its elegance and beautiful look. Frame less shower doors are super stylish and gives your bathroom more space. You will never get the feeling of space occupied by door. It’s ultra sleek design fits in almost all bathrooms. Very less maintenance compared to framed shower doors as there are no tracks present where the dust is accumulated. Hence, cleaning is extremely easy task. More life than traditional shower doors as there is no metal frame used. No metal no rust, more life. Frame less glass shower doors are made up of thick glass. As a result of this they are more durable. So, don’t worry of it breaking down due to accidental bumps on the glass. It increases the overall value and beauty of your home. There are very few disadvantages of using this type of shower doors. The only disadvantage is the cost of this doors. It ranges anywhere from $400 to $1500. Below is the comparison table of Best Frame less shower doors 2015. We have listed this products based on user reviews, price and user ratings. Let us know in comments section if this article was useful. Elegance and Style: The major difference is use of Glass in both shower doors. Frameless shower door requires more Glass material which adds elegant and stylish look compared to Framed shower doors. Price variation – Framed sower door cost merely 40% compared to Frameless Shower Door which has the basic price of $400. Glass Thickness – Frameless Shower Glass Door doesn’t have metal frame for security purpose. So these door has thicker glass compare to Framed Shower Door. Installation – Frameless is more expensive and has large glass sheet which is difficult to install properly in wall. You should have a professional person for installation of Frameless Glass Shower Door. Easy Clean – If you want to avoid damaging of water spots and minerals, simply use of “Squeegee” will solve your most of the problem. Use of Squeegee ones in day will keep shower door clean and far from any spot.